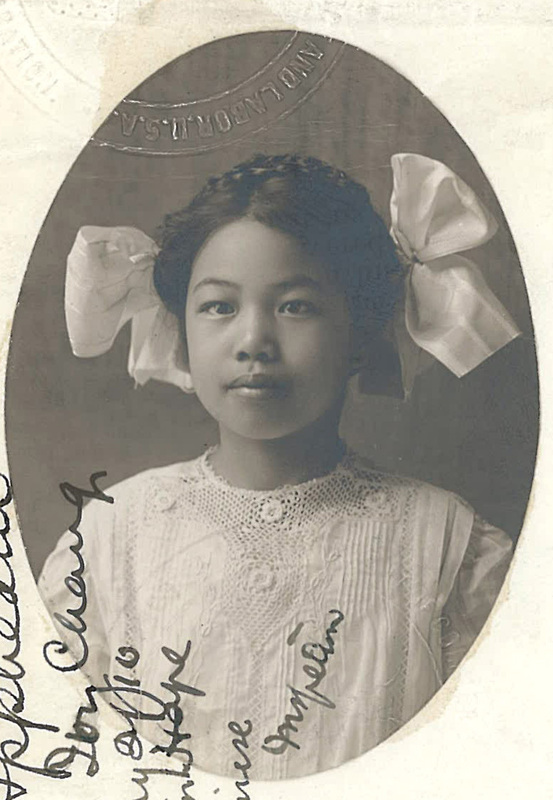 “Charlotte Chang Photo, Form 430,” 1910, Chinese Exclusion Act case files, RG 85, National Archives-Seattle, Charlotte Chang case file, Seattle, Box RS 193, RS 29,101. Charlotte Chang lost her U.S. citizenship when she married a China native. Charlotte Chang and her children were all born in California. Although Charlotte lost her citizenship when she married a Chinese native, she was allowed to leave the U.S. and return because of his position as the Chinese Consul at Vancouver, B.C. In 1935 Charlotte Chang petitioned for the restoration of her American citizenship (Naturalization file No. 22 X 6304). In her statement she said that in January 1910, accompanied by her mother, Chan Shee, she gave testimony at Angel Island station, California to receive return certificates in order to proceed to Vancouver, B. C. The Chang family took a train from San Francisco to Seattle and then a steamer to Vancouver. Mrs. Chang claimed that she lived in Vancouver from 1910 to about January 1913. “Ora Chang Photo, Form 430,” 1910, Chinese Exclusion Act case files, RG 85, National Archives-Seattle, Ora Chang (Chang Ora) case file, Seattle, Box RS 193, RS 29,102. 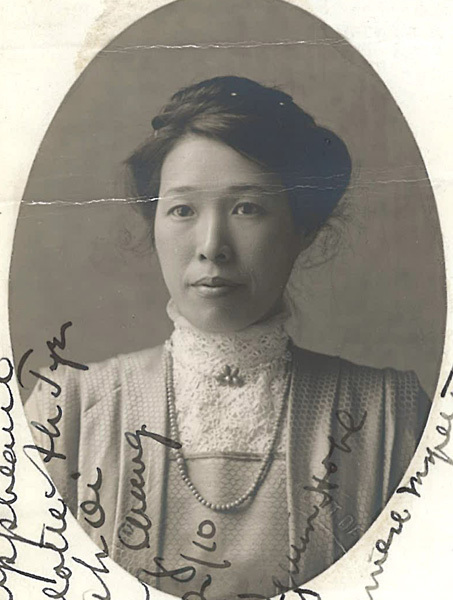 Ora Chang, the daughter of Hong Yen Chang, the Chinese Consul at Vancouver, British Columbia, was admitted to the United States at the Port of Seattle on 5 April 1912 with her mother Charlotte Chang They were making a brief trip from Vancouver, B.C. to Seattle accompanied by Chin Keay of the Quong Tuck Company. Ora Ivy Chang’s initial application to travel to China was in 1910. The family was living 2330 Fulton Street, in Berkeley at the time. Her birth certificate stating that she was born at Laporte, California on 8 November 1898 is included in the file. She was visiting China with her mother and brother Oliver Carrington Chang. The San Francisco Chinese Inspector interviewed Ora Chang, age 12; Charlotte Ahtye Chang, her mother; Chun Shee, her grandmother; Dr. Elizabeth Keys, the physician who attended at the birth of her brother Oliver; and D. R. Rose, another white witness who knew Mrs. Chang since 1884. Chun Shee, Ora’s grandmother, testified that she was 68 years old and the widow of Yee Ahtye. They had five children, all born in Laporte, California: a daughter Fook Yow living in Oakland; a son, Yee Jock Sam living in San Francisco; daughters Yee Ah Oy and Yee King Lan, living in Berkeley; and a son Yee Jock Wai (Dilly), living in San Francisco.